Make UNLIMITED free ringtones (Up to 40 seconds!) with the music on your iPhone. 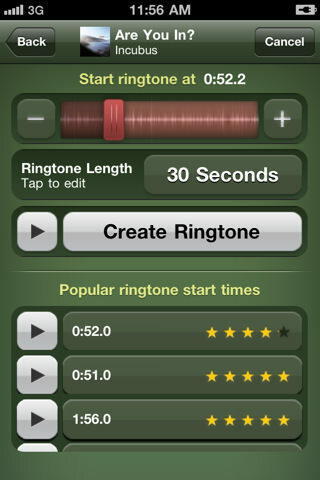 Create unlimited ringtones, custom lengths... up to 40-seconds! Make "text tones" of 6 seconds or less, using our same App! If you need more information please contact the developers of Ringtone Maker for iPhone (Mobile17), or check out their product website.